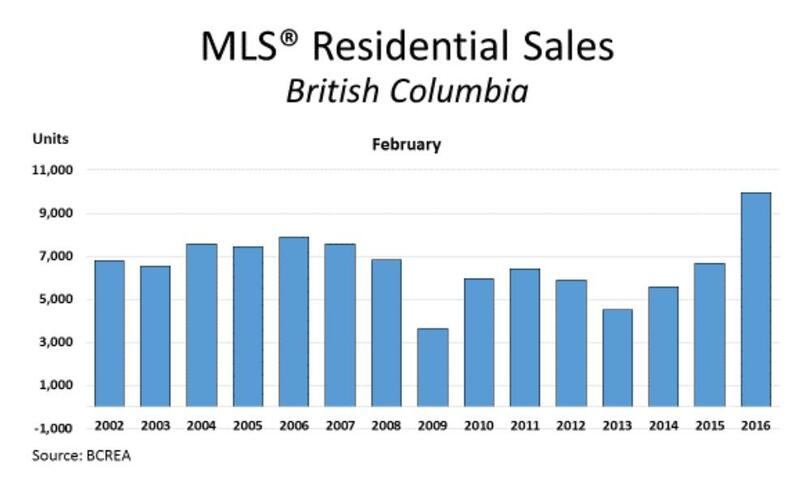 Following suit with previous months, housing demand is still continuing to outpace supply. 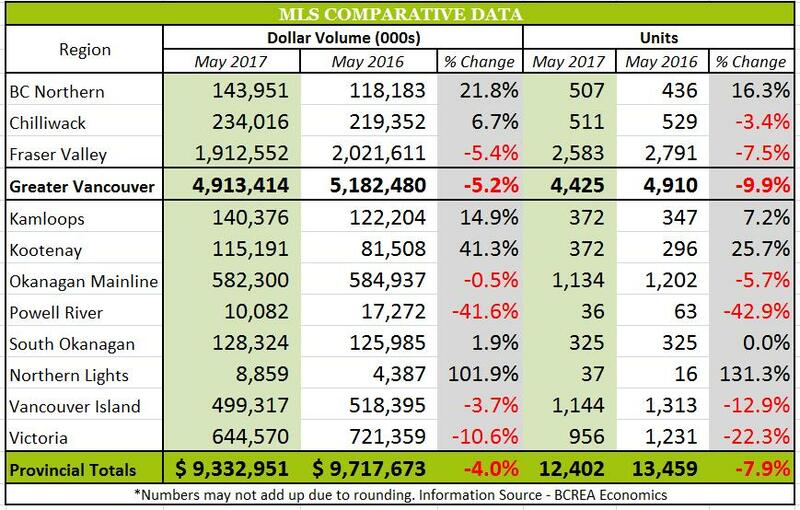 In May 2017, MLS® recorded a total of 12,402 residential unit sales and an average MLS® residential price in BC of $752,536 which is a 7.9% decrease and 4.2% increase, respectively, from the same period last year. 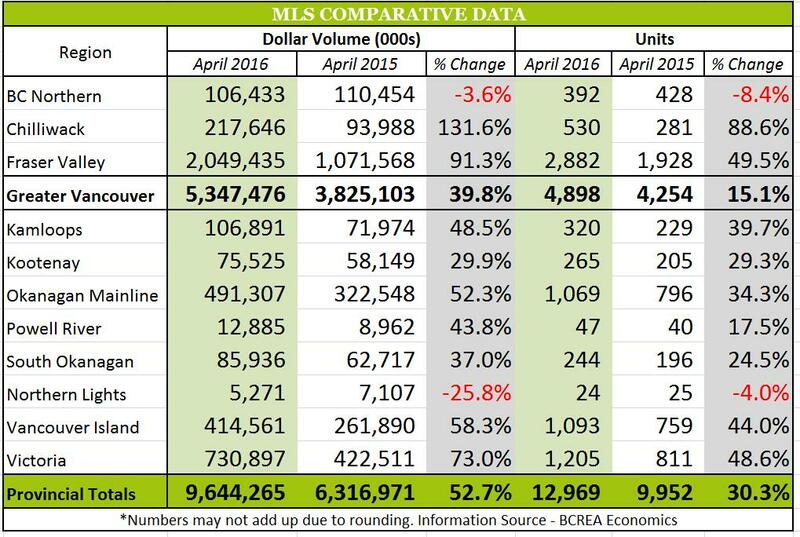 Total sales dollar volume amounted to $9.33 Billion which is a 4% decrease from May 2016. 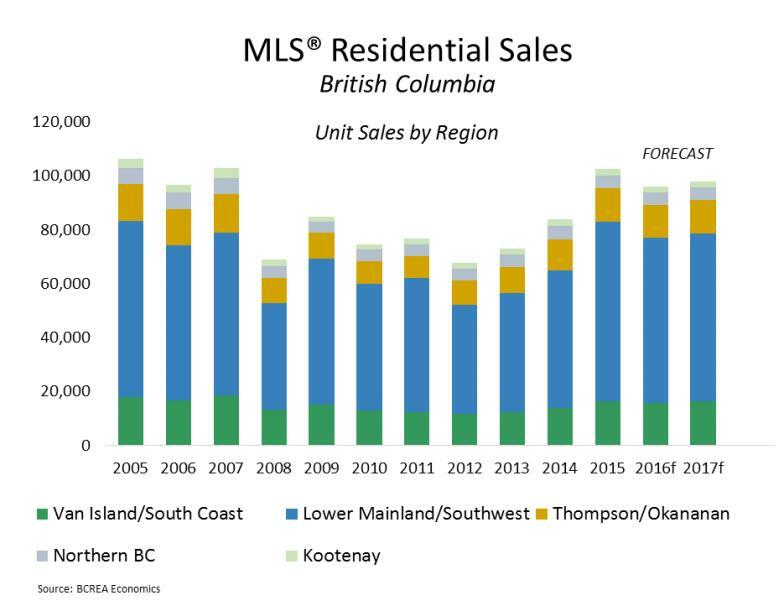 “Market conditions have tightened considerably this spring as an upturn in consumer demand has not been accompanied by a rise in homes listed for sale,” said Cameron Muir, BCREA Chief Economist. 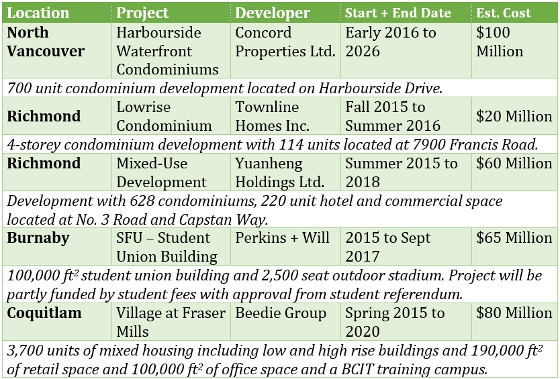 “The supply of homes for sale in the province has fallen 50 per cent over the past five years. There is a shortage of housing supply in the entire southern portion which consequently results in upward pressure on home prices. 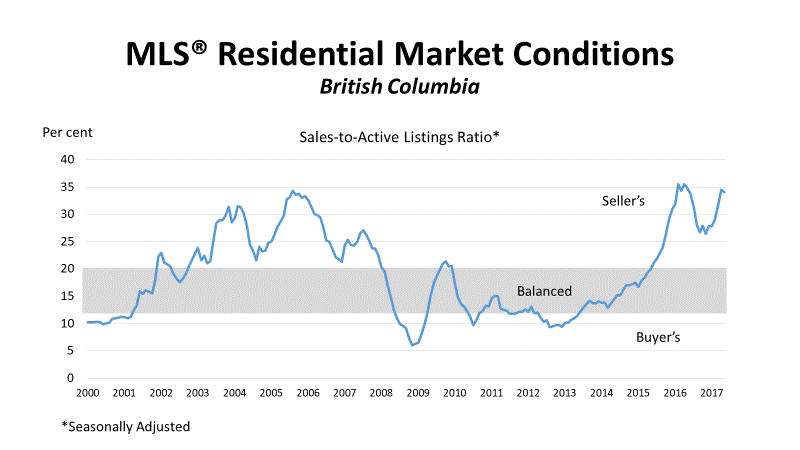 Total active listings has decreased by 11.1% in comparison to May 2016 and totals 28,404 units. 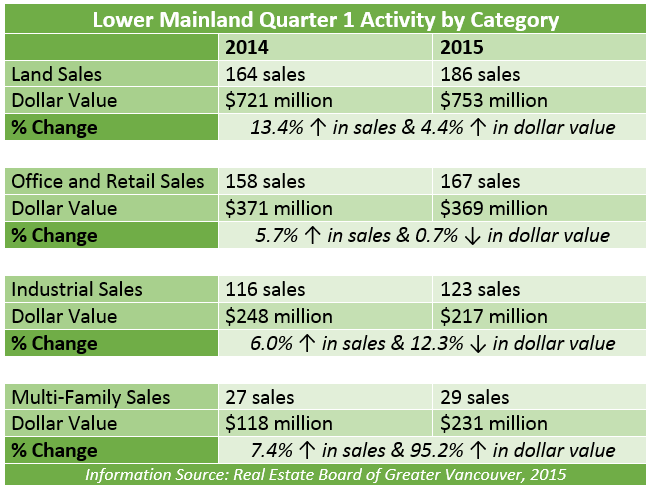 The ratio of home sales to active listings was over 20% in 9 of the province's 11 real estate boards and over 50% in Vancouver, the Fraser Valley, Chilliwack and Victoria. 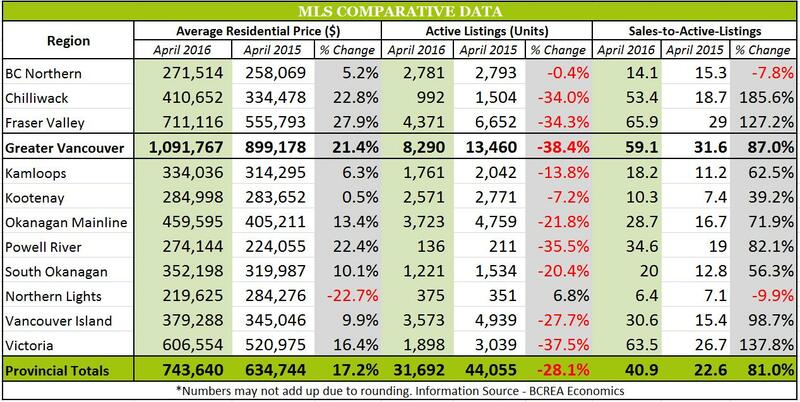 Below you will find a comparative chart showing May 2017 and May 2016 figures for average residential price, active listings, sales-to-active listings, dollar volume and residential units sold in BC. 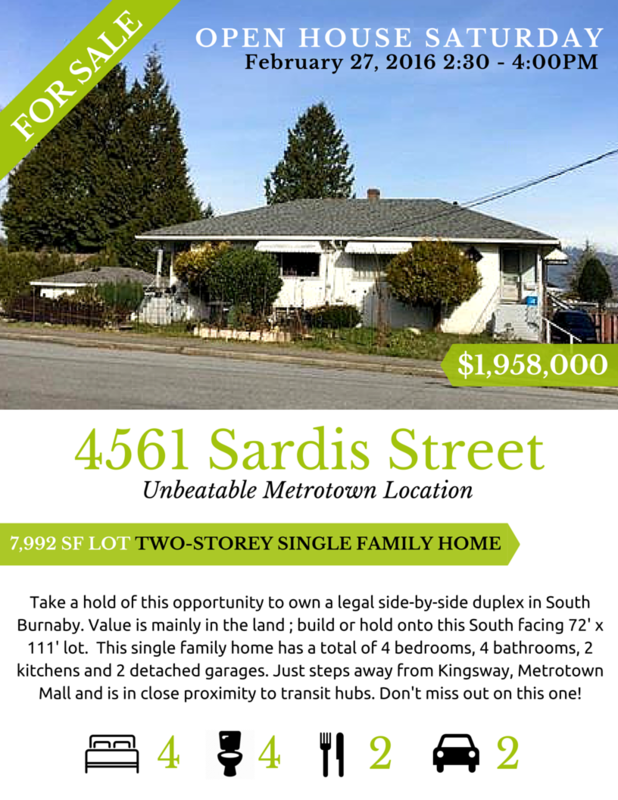 (Click to enlarge photo). 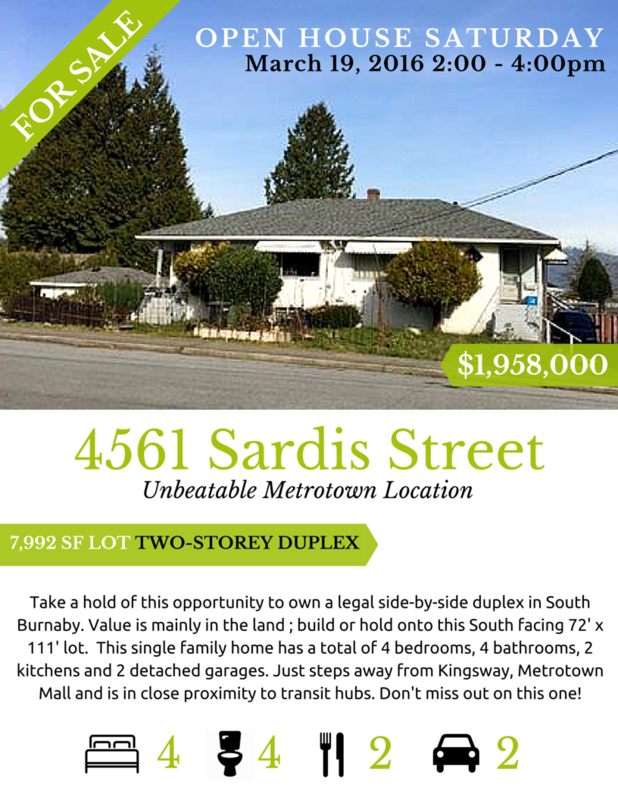 For additional information on this property, contact Amalia Liapis at amalia@wesellvancouver.ca or alternatively at 604-618-7000.